1964 FORD MUSTANG. FRANKLIN MINT 1/43RD SCALE. CLASSIC CARS OF THE 60's. THIS MODEL HAS NO BOX. Franklin Mint Car 1958 Edsel Citation 1:24 Great condition. Has been kept in the display case since bought. Any questions or further pictures please ask. Dispatched with Insurance and recorded delivery. This model is in good condition with lots of authentic detail complete with a fact sheet. Franklin Mint was sold in 2013. The new owners have no Franklin Mint inventory or parts available. This would be an ideal display piece to add to or start your collection with. 1940 FORD PICKUP TRUCK. A Franklin mint scale model of a 1903 Ford model A Tonneau, with box. Condition is Used. Dispatched with Royal Mail 2nd Class. 1956 FORD THUNDERBIRD. FRANKLIN MINT 1/43RD SCALE. CLASSIC CARS OF THE 50's. THIS MODEL HAS NO BOX. The model is highly detailed and in excellent condition. It is a rare example in 43rd scale. 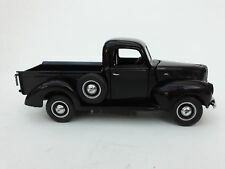 1/24 Scale Diecast Model by Franklin Mint. The MODEL is in FAIR Condition - vinyl roof cover peeling & drivers door doesn't close fully. Scale 1/24. MINT - The item is in perfect condition. EXCELLENT - The item will have had very careful use, with only small imperfections. 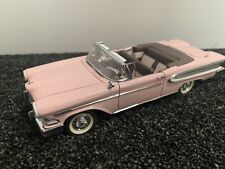 Franklin Mint Car 1957 Ford Skyliner 1:24 Great condition. Has been kept in the display case since bought. Any questions or further pictures please ask. Dispatched with Insurance and recorded delivery. FRANKLIN MINT. MINT CONDITION. Precision model. Franklin Mint. 1:43 1956 Ford Thunderbird Coupe NO CASE OR BOX. Model ONLY. Model has no door mirror but is otherwise complete. A Franklin mint model of a 1965 Ford Mustang GT 350. with gloves. 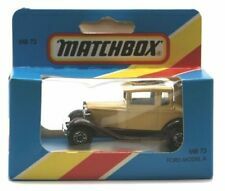 A Franklin mint scale model of a 1932 Ford deuce coupe. Scale is 1/24. Cash on collection. This item is pre owned. Franklin Mint Model T Ford 1/16 scale. 1955 Ford Thunderbird. The Franklin Mint 1:24 20cm length. 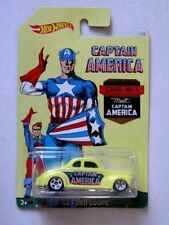 Replica diecast car. Car is in a near new condition. The certificate is missing. A Franklin mint scale model of a 1969 Ford BOSS 302 Mustang. th e front wheels steer and all roll. gloves and plastic pointer. boxed, and paper work. 1955 FORD FAIRLANE. Franklin Mint was sold in 2013. The new owners have no Franklin Mint inventory or parts available. This would be an ideal display piece to add to or start your collection with. Issued by the Franklin Mint in 1993 & 1:24 scale. FRANKLIN MINT. Scale 1:43 Model on Plinth. In excellent. A Franklin mint model of a 1939 Ford deluxe convertible " the worlds fair ". The f ront wheels steer and all roll. Sold asphotos. very clean. By February 4, 1929, one million Model As had been sold, and by July 24, two million. In March 1930, Model A sales hit three million, and there were nine body styles available. They're heftier. 6 Reasons Why Franklin Mint Precision Models Leads The Way In Die-Cast Collectibles. FRANKLIN MINT 1/24 1949 FORD WOODY WAGON - MINT/BOXED - L@@K!! MPN B11TQ14. Material Diecast. Vehicle Year 1964. Year of Manufacture 1964. Franklin Mint 1/24th Scale model boxed model packed in original polystyrene box and outer box, never been on display.